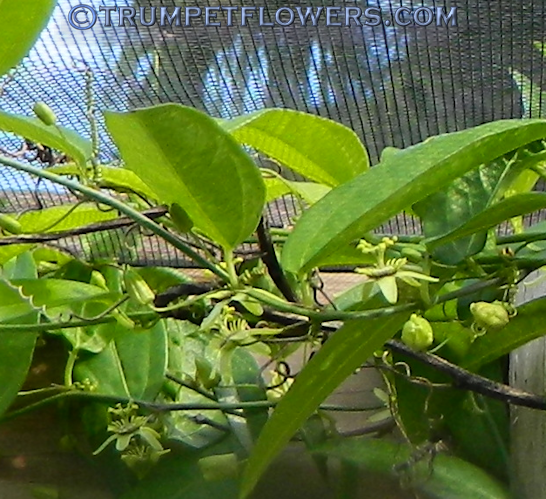 Passiflora suberosa flower and unopened blooms. 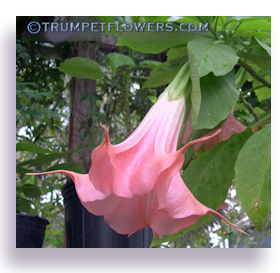 It is also called Corky stemmed passionflower, because as it ages, the stem does get thicker and the &apos;bark&apos; appears as cork. Passiflora suberosa flowers. Passionflower suberosa is really not grown for it&apos;s flowers, as they are very tiny, only about a quarter of an inch across. 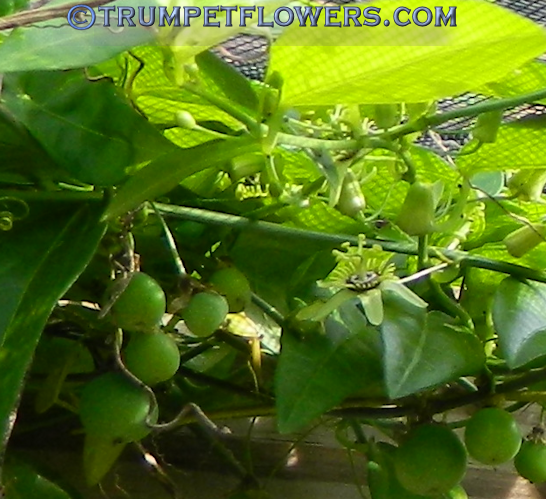 Passionflower Suberosa showing the tiny, unripe fruit. When the fruit is ripe, it is the color of a concord grape. 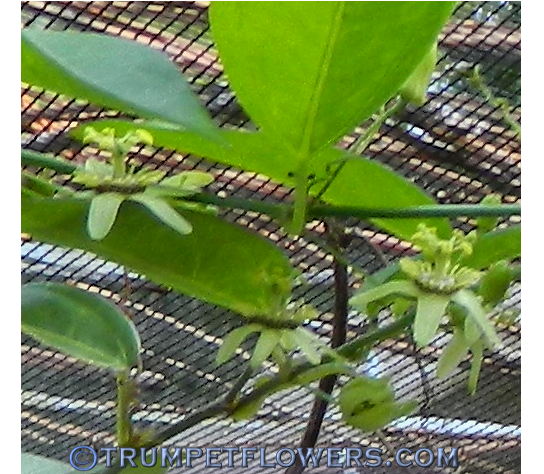 More of the green fruit and a bloom of passiflora suberosa. 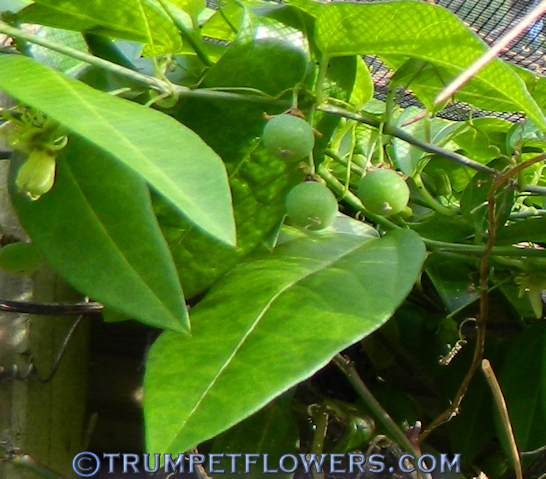 Notice the leaves of passiflora suberosa. 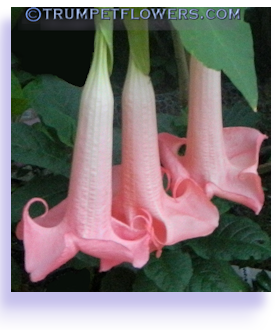 They can also show up as more sword-like, with white veining. 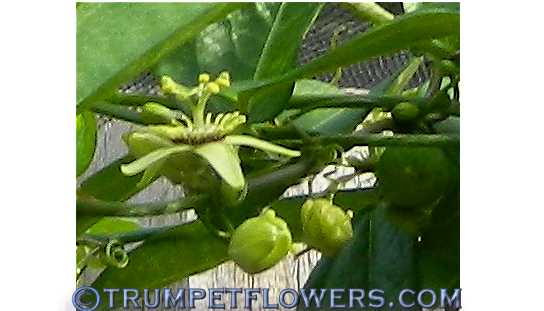 Flowers and leaves of passion flower suberosa. 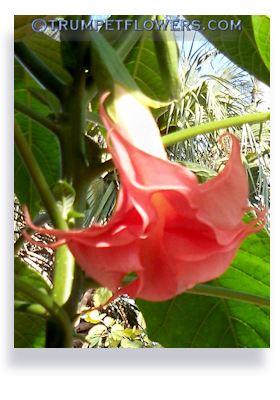 This passionflower is usually grown here in South Florida for the caterpillar larvae of the Gulf Fritillary and Zebra Longwing to consume. Hungry caterpillars will even eat the stems and the fruits of their host plants! 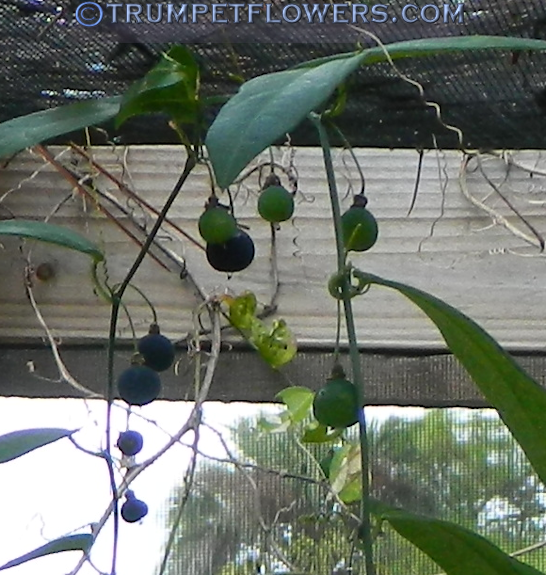 This photo shows a few ripe fruits of passiflora suberosa. 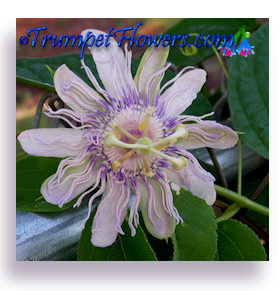 You can purchase Passiflora Suberosa to attract Zebra Longwing and Gulf Frittilary butterflies by clicking here. 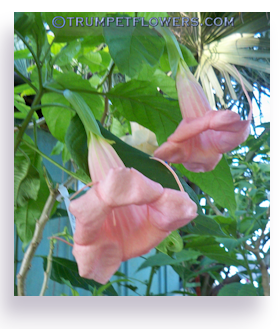 This entry was posted on October 25th, 2013 and is filed under Passiflora Gallery.